The 2016 edition of La Dive Bouteille will be held at the Caves Ackerman, 19 Rue Léopold Palustre, Saint-Hilaire, 49400 Saumur on Sunday 31st January and Monday 1st February 2016. Cost of entry 10€. 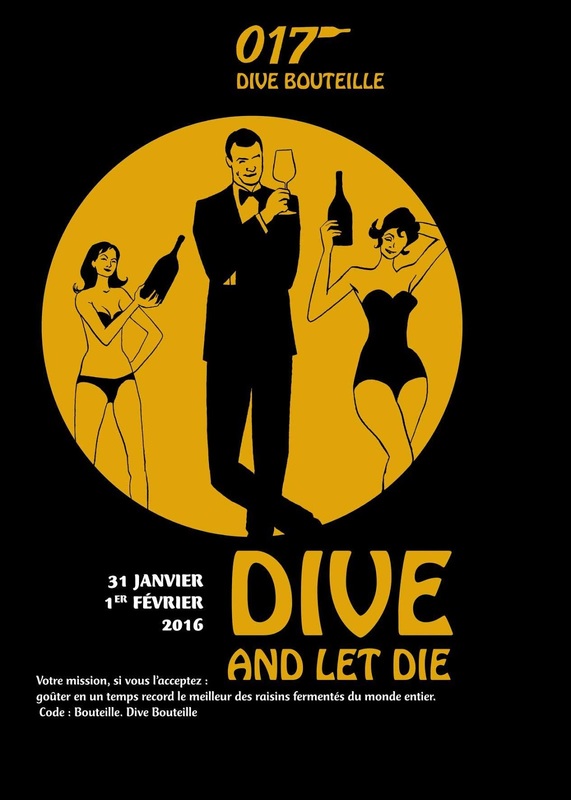 There will be producers from Alsace, Beaujolais, Bordeaux, Burgundy, Champagne, Jura, Languedoc, Rhône, Roussillon and South West France. Also there are a number outside France from Argentina, Australia, Austria, Chile, Georgia, Italy, Mexico, Slovenia, Spain and the USA. There will also be some spirit and other drink producers present including Armagnac, Beer, Calvados, Cognac, Mezcal and Sake.